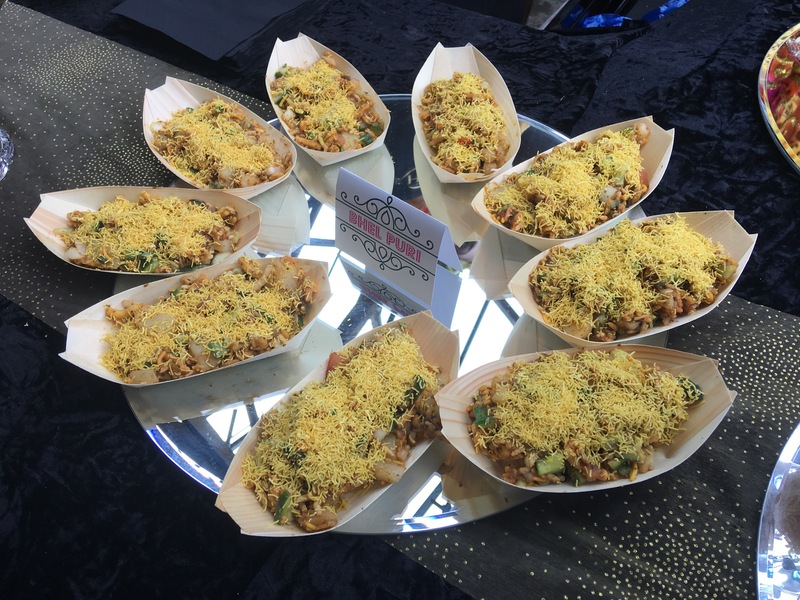 The London Halal Food Festival came back with a bang this year, bigger and better with some great new additions to the halal food scene. 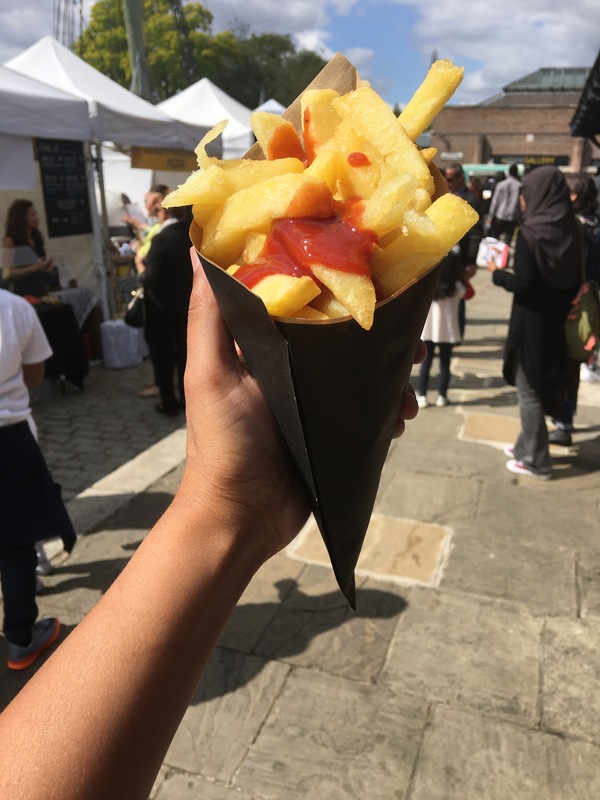 Who would have thought, just a few years ago, London would be hosting a yearly food festival dedicated solely to Halal Food? That’s one of the great things about London, the city we love and call home. 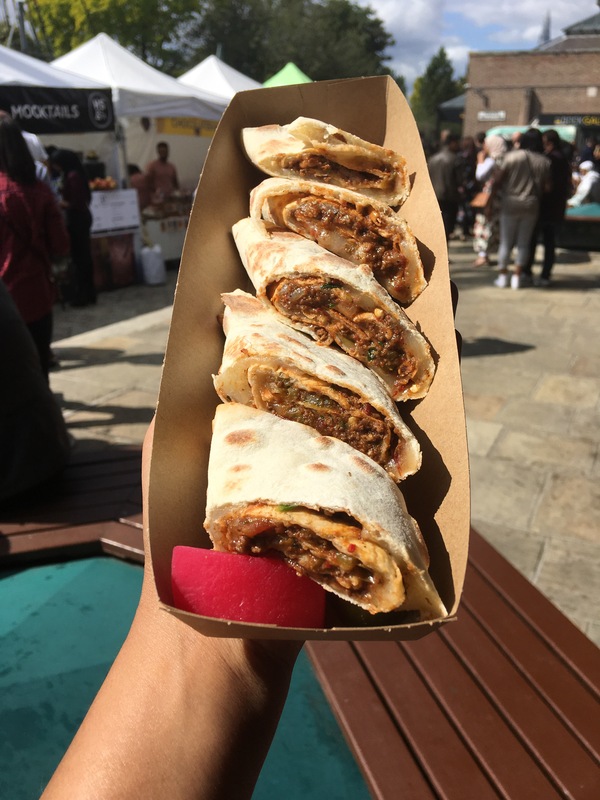 Bliss Street – this lamb mince cooked in Mediterranean spices, chilli and fresh herbs, topped with cheese and then wrapped in freshly prepared flat bread kick started our food journey at the festival. It was so good, we went back for seconds. 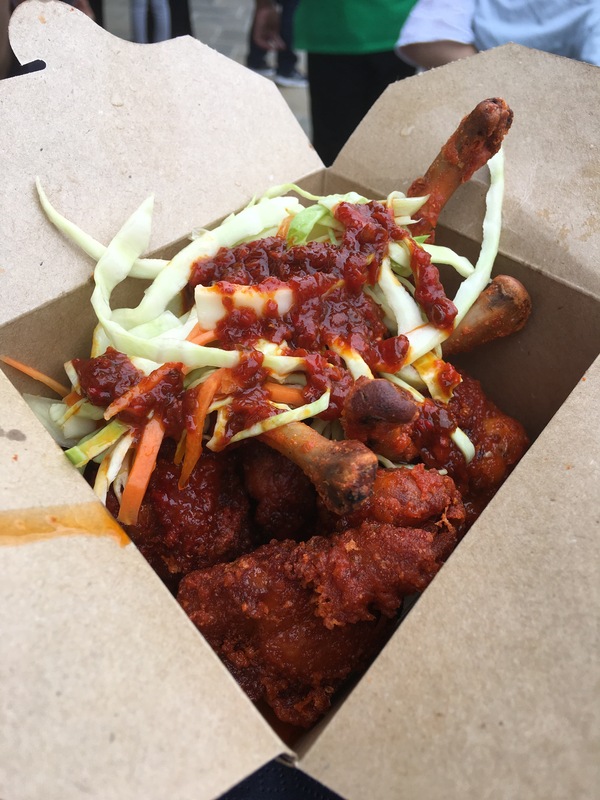 Mother Clucker – Southern Fried Chicken taken to a whole new level. These chicken strips were crunchy on the outside and ridiculously moist on the inside. 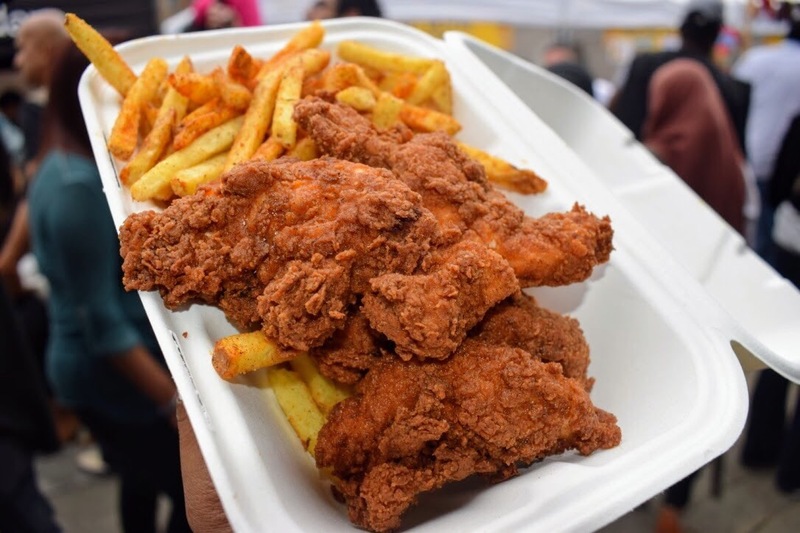 Coupled with their Cajun fries, Mother Cluckers is a hype well justified. Bombay Chow – These succulent chicken Lollipops, richly marinated in delicious spices, brought jubilation to our taste buds with each bite. The aroma of the lollipops, whilst being prepared was simply mesmerising. Friesdays – Handcrafted Belgium fries served with an array of different sauces. If there is one thing that unites foodies and non-foodies, it is the humble deep fried potato. 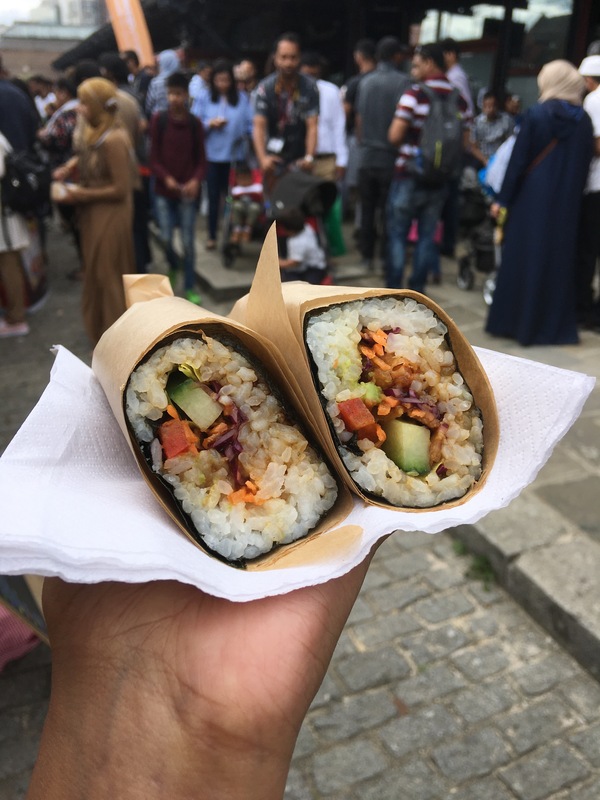 Sushi Burrito – Fancy something light and satisfying? 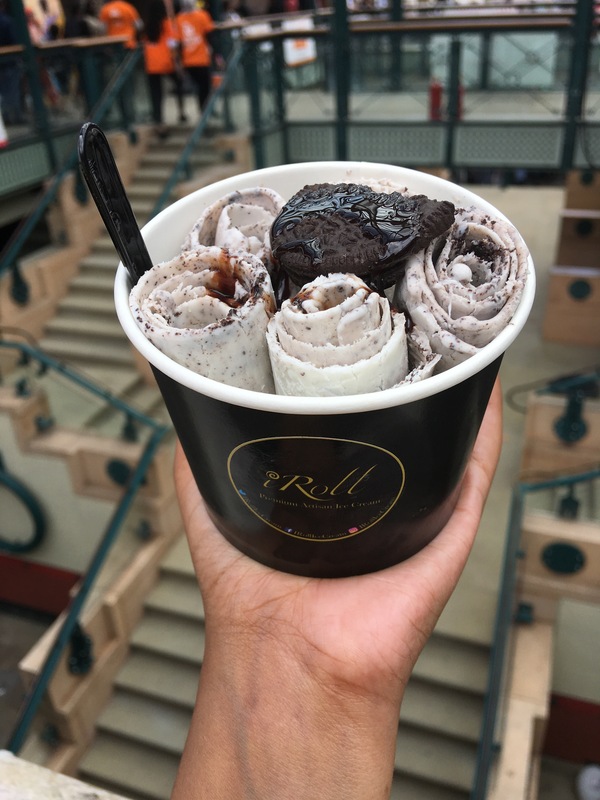 Sushi Burrito was a pleasant surprise and a refreshing change from deep fried food, burgers and everything else in between. Plus, the flavours were sublime. Was definitely one of the unsung heroes of the day. Apple Blue Patisserie – Beautifully crafted patisseries that taste as magnificent as they look. A muslim baker who has received formal training from Paris and this training exudes through to her creations. HS&Co – Back two years in a row, HS&Co was as popular as ever. 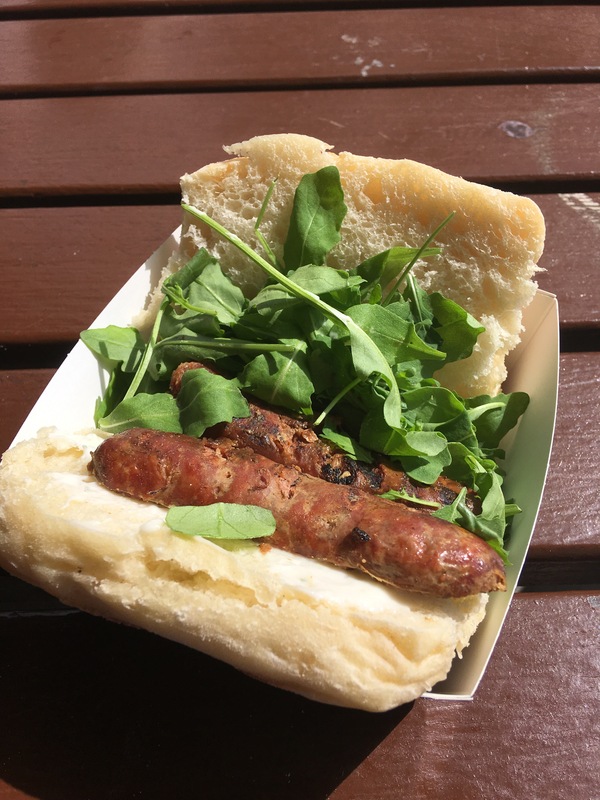 However, a sausage cut in half with a bit of salad and bread is somewhat disappointing. Plus, any flavour the sausage had was defused by the thick and stale bap. Meat & Shake – Once again, similar to HS&Co, another well known brand that did not deliver. The burgers were already pre-prepared and left out in the open, which meant the buns were stale and the meat had gone cold and dry. 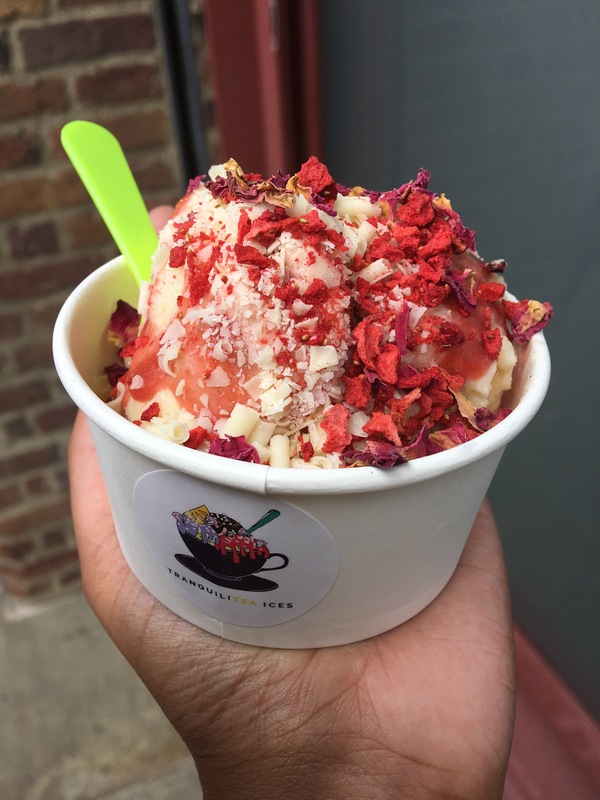 TranquiliTEA London – British classics such as Victoria Sponge in the form of an Ice Cream. Love seeing the growth in food innovation. Gourmet and Grill – Pink burgers and bhangra beats is what you get with Gourmet and Grill’s Bollywood Spice burger. 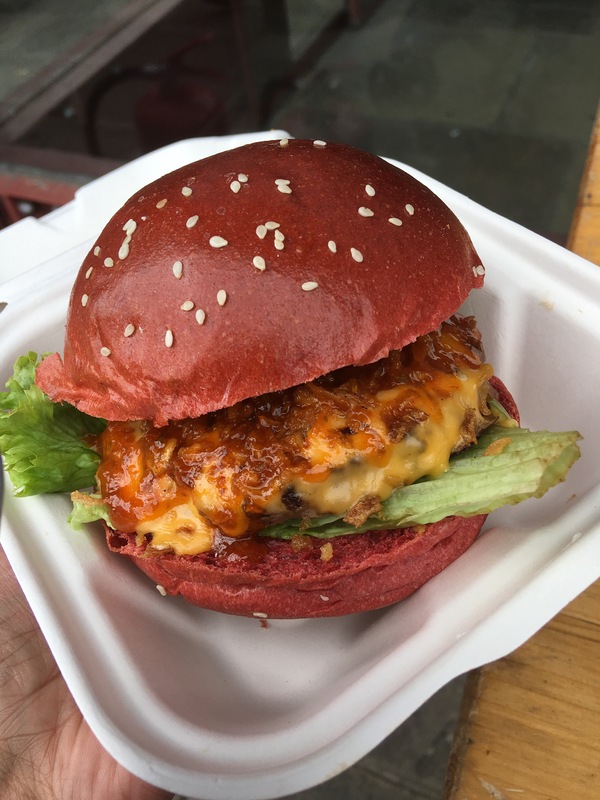 I enjoyed the spicy sauce, however, the patty could have benefitted from being seasoned more and cooked to a medium, instead of a well done. 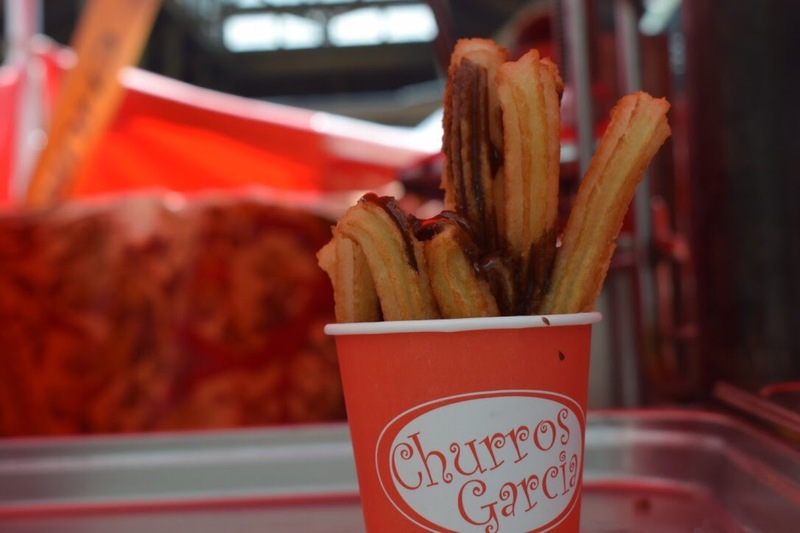 Here are some honourable mentions, as our bellies could not take anymore more food. Bigger and better with some great new additions such as Bliss Street, Mother Clucker, Bombay Chow and Sushi Burrito. Play area for children was a big bonus. Great cooking master classes with celebrity Chefs including MasterChef 2017 winner Saliha. Having shisha next to the children’s play area was a negative. The play area could have been childproofed better for safety purposes. 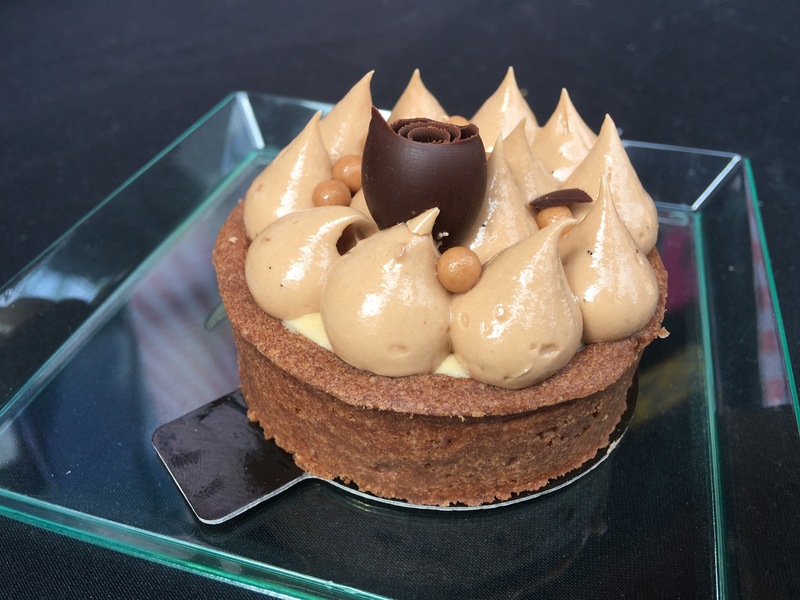 What we would like to see next year is even more variety in cuisine, which we fully understand will be a difficult challenge to achieve, but something to aspire to. Congratulations London Halal Food Festival for hosting a great event for the community and building from last years success to bring a bigger and better event.